UPDATE: Thank you to everyone who has helped vulnerable people in Norfolk get through the cold winter months by supporting the Surviving Winter appeal. The appeal has raised almost £124,000 so far – the most the appeal has ever raised by over £68,500. This year’s appeal could not have helped so many people without the support of the local community, showing what can be achieved by people joining together to help the less fortunate. Together, Norfolk shines brighter. 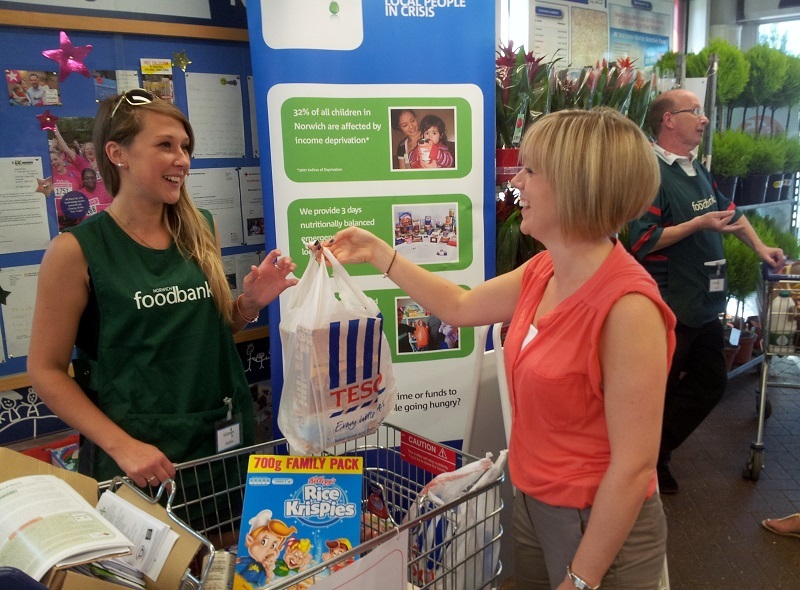 Working with our key partners Age UK Norfolk, Norwich Foodbank and St Martins Housing, we ensure that all the money raised goes straight to the people who need it most, via organisations on the frontline. This winter, as temperatures drop, harsh conditions arrive and days get shorter, thousands of people in Norfolk will struggle to stay healthy, warm and well-fed. And it’s not just older people who will be affected. Previously, we have asked older people who don’t need their winter fuel allowance to donate it to those who desperately do. However, the range of people in need is much broader than just older people, and numbers are growing dramatically every year. From families on low incomes struggling to pay their fuel bills, to those living on the street: from elderly people facing months of isolation and loneliness, to single people in poorly paid jobs and struggling to make ends meet: winter can be a frightening prospect for so many. Recent figures* show that there were 50,100 excess deaths in England and Wales last winter, when there was a prolonged spell of extreme cold, making it the highest number since 1976. The 50,100 excess deaths were about 15,000 (45.1%) more than those that occurred in 2016-17 and double the total in 2015-16. Our overarching aim is to reach those people who are currently on the edge of formal support but are in serious need. Without urgent help, these people could easily fall into crisis and, for some, the support our partners provide could be the difference between life and death. The more money we raise, the more positive impact we can have. The Surviving Winter appeal needs urgent help from local people and businesses. Every penny donated will go directly to local charities to enable them to provide essential help to some of the most vulnerable people in Norfolk from right now, through to spring. Online: Visit our Surviving Winter donation page to donate quickly and securely to the Appeal. By cheque: Please make your cheque payable to Norfolk Community Foundation and send it to Norfolk Community Foundation, St. James Mill, Whitefriars, Norwich, NR3 1TN along with your completed donation form. By telephone: Phone us on 01603 623958 to make a donation by card.